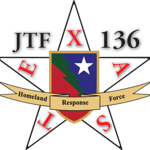 This site is the official on-line archive of publicly released photos and videos from Joint Task Force 136 (Maneuver Enhancement Brigade), a military unit consisting of elements from the Texas Army and Air National Guards. Currently maintained by the JTF-136 (MEB) Public Information Office, all photos and video clips on this site are available for FREE, full-resolution download. Just hover over the large version of the selected file and click on the icon of the file folder to download. This photo-sharing site does have a feature that allows visitors to purchase prints and other products using the free imagery on this site. This feature is an outside service that is neither operated by nor endorsed by the military. Soldiers, family members, and others may use the freely provided imagery to produce prints via this service or any other. Soldiers and family members are welcome and encouraged to download pictures for their personal use. 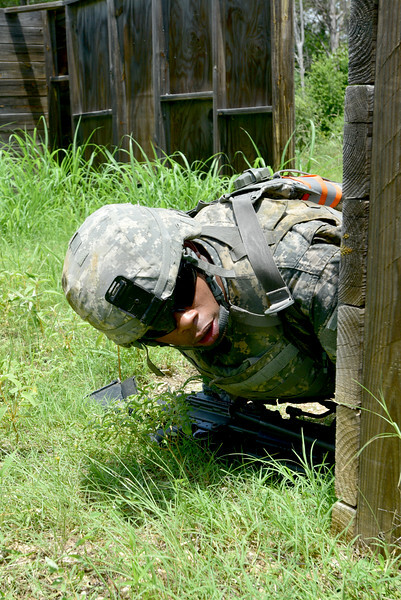 Point of contact for this archive is the JTF-136 (MEB) Public Information Officer, Master Sgt. Daniel Griego, at daniel.a.griego@us.army.mil. Other military organizations and news media outlets are also welcome to utilize images, but please provide courtesy notification to JTF-136 at daniel.a.griego@us.army.mil. While this is an open forum, it's also a family friendly one, so please keep your comments clean. In addition to keeping it family friendly, we ask that you follow our posting guidelines here. Comments will be removed if they violate the guidelines listed below. • No graphic, obscene, explicit or racial comments or submissions nor do we allow comments that are abusive, hateful or intended to defame anyone or any organization. • No solicitations or advertisements. This includes promotion or endorsement of any financial, commercial or non-governmental agency. Similarly, we do not allow attempts to defame or defraud any financial, commercial or non-governmental agency. • No copyrighted or trademarked images or graphics. Imagery posted on the Facebook wall should be owned by the user. • No comments or photos that suggest or encourage illegal activity. • No documents of any kind should be posted on this page.